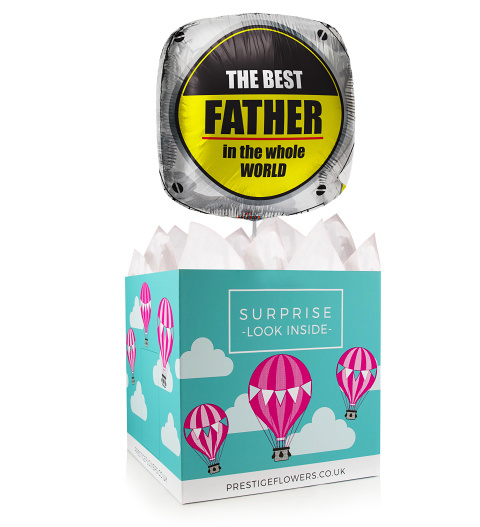 Spoil Dad with an 18-inch helium balloon paired with a colourful gift box. You can also take a pick from our selection of extras such as stuffed bears, wine, chocolates, and cake. Take a moment to write a special Father's Day message and we will include it with the gift!